The ancient Greek symbol Meandros is a representative of Victory and Unity, a symbol of Infinity and Eternal Life, but it also refers to our continuous course into the world. Inspired from the many turns of Meandros river, which has a total length above 500 klms, it will constitute one of the most historical symbols of the Greek World and will be named also as the “Greek Key”, since it declares the Greek origin of all things that include it. 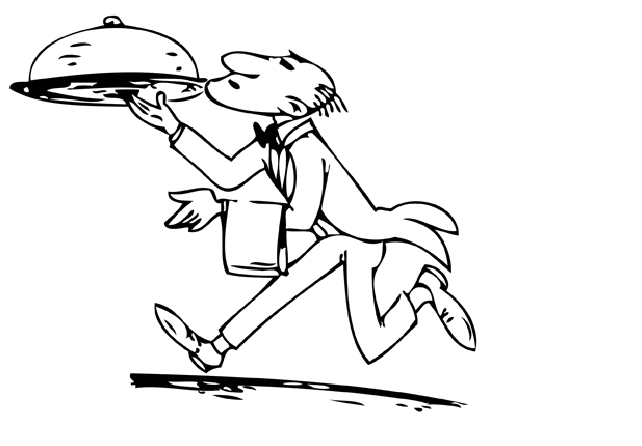 Based on this ancient symbol of Hellinism and “charmed” from the impressive view of the Akropolis, we gave his name to our restaurant wanting to emphasize on the strong root of hospitality that expresses us. 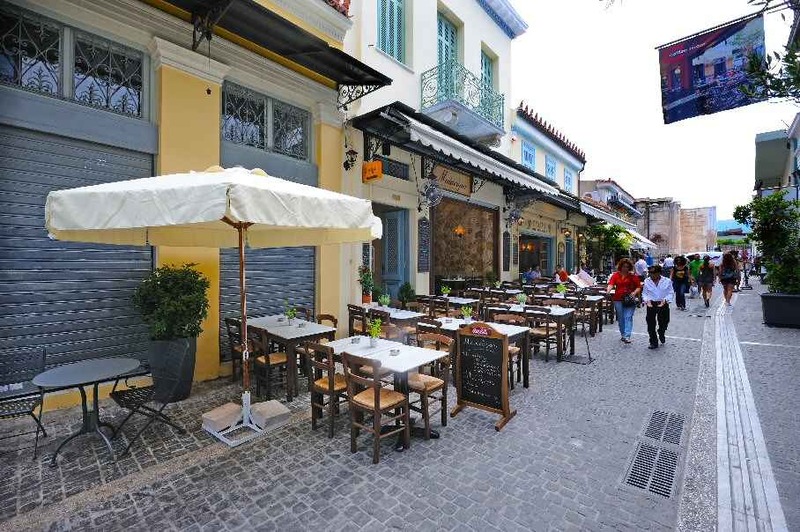 We wish that our traditional flavors will come to complete your visit in this, dreamed and filled with history, district of Athens. 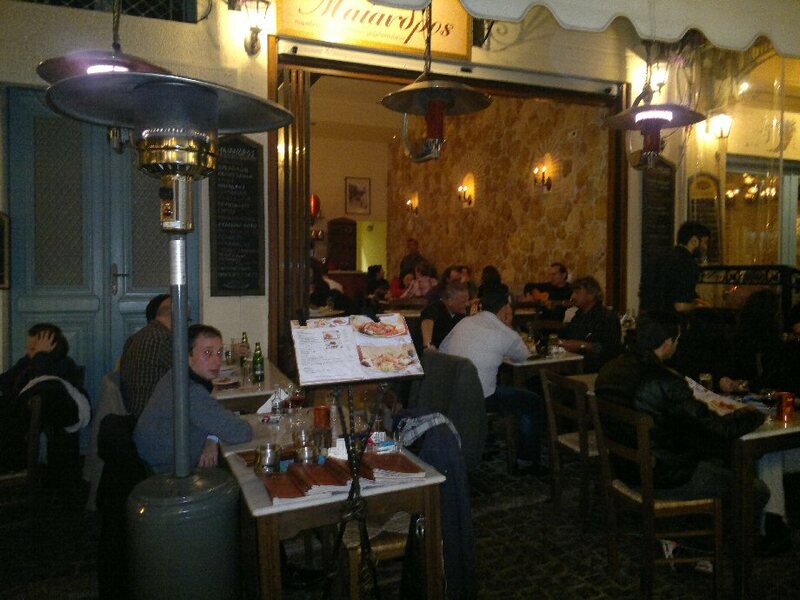 Maiandros is a traditional Greek coffee restaurant, located in the historical center of Athens, just a few steps from the Monastiraki metro station and Adrianou library. Our place is cozy and friendly in harmony with traditional mediterranean cuisine brings back memories, tastes and smells from another era . 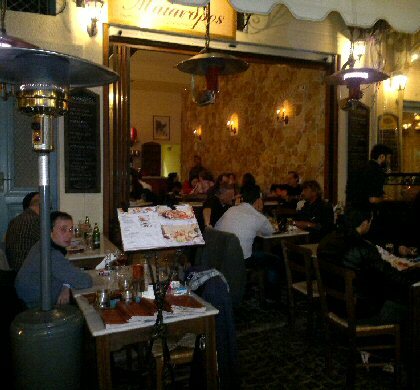 We are waiting for you any time of day to offer you new experiences enjoying a plethora of traditional tastes and snacks in the heart of Athens. 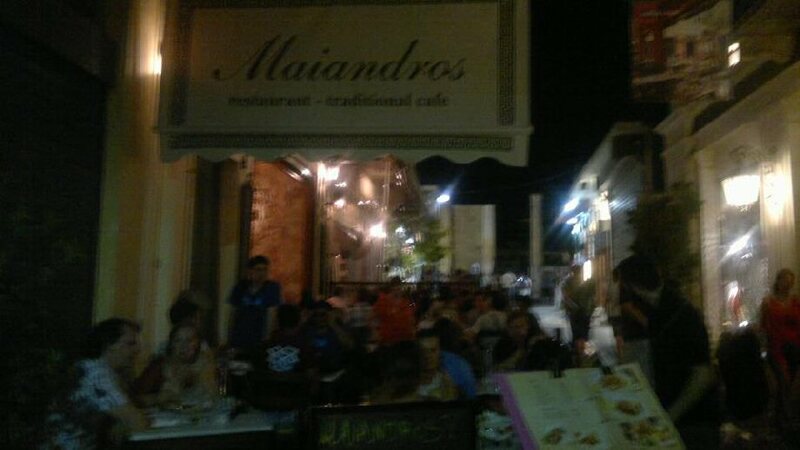 Enjoy your coffee or drink, next to the Acropolis. 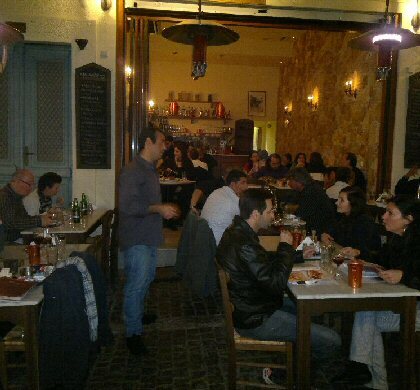 We are waiting for you to try out our dishes. 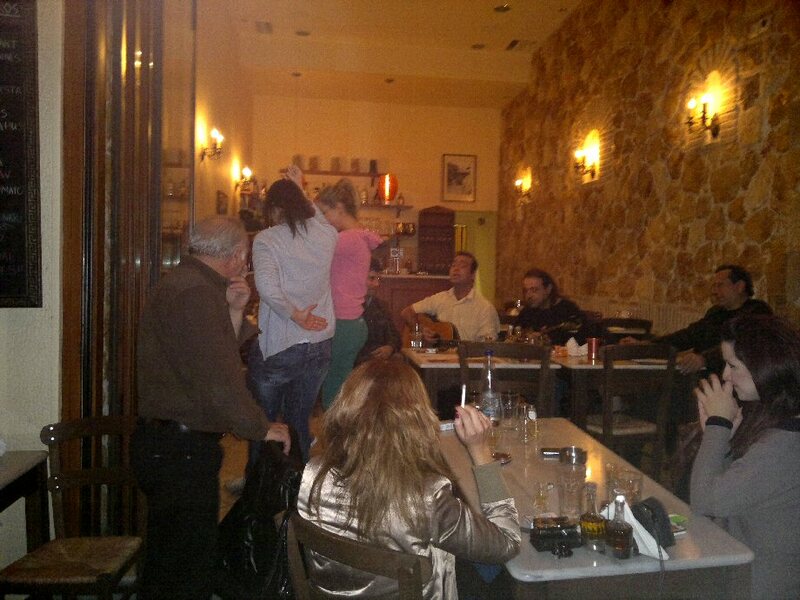 One bouzouki, one quitar and two good voices will be singing for you and your friends. Our traditional cuisine, is well known for its taste, wide variety, and its nutritional value, since the mediterranean cuisine is considered to be the healthiest of all. Our base ingredient is olive oil, bread, vegetables, legumes, honey and fish as well as red meet including goat, lamb, beef and pork. Our foods includes variety of spices and herbs, used in a way to bring out the flavor of vegetables or meet, such as oregano, mint, garlic, nutmeg, parsley, laurel leaves, sweet basil, thyme, cinnamon, clove, rosemary, dill and saffran. Since food in Greece is associated with good company of friends and conversation, we thinks of it as a very important part of our job and our every day life. 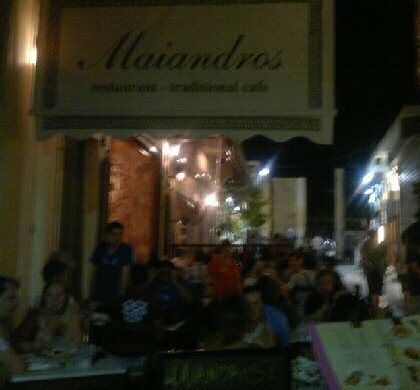 Adrianou 47 Str, Monastiraki, Athens. 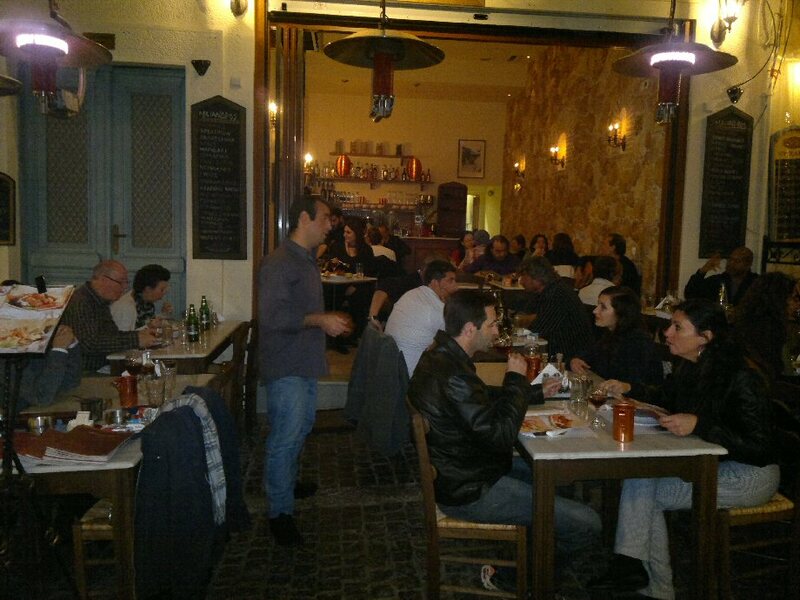 One bouzouki, one quitar and two good voices will be singing for you and your friends while you are enjoying tastes and smells taking you back to another time in Athens.